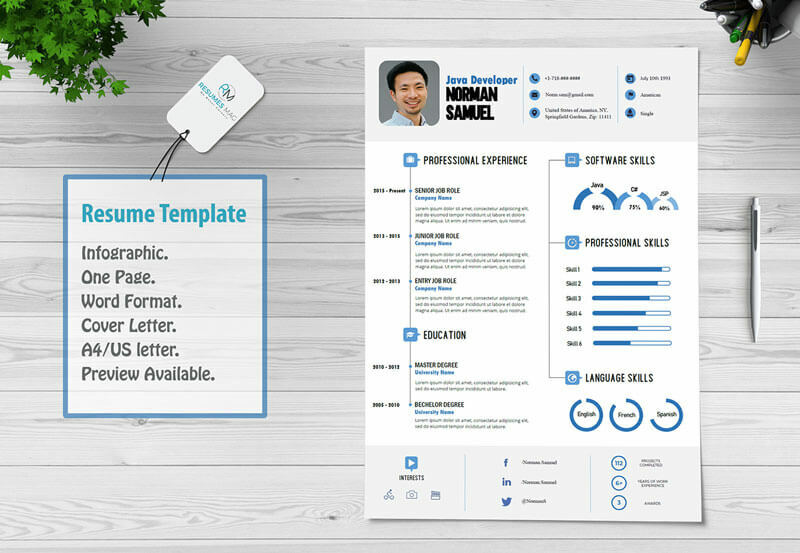 Best – Infographic Resume Template in Docx file (Word Format), this means that you can edit it easily by filling your educational qualifications, work experience, and tuning the skills infographic elements to make it your own CV/Resume. 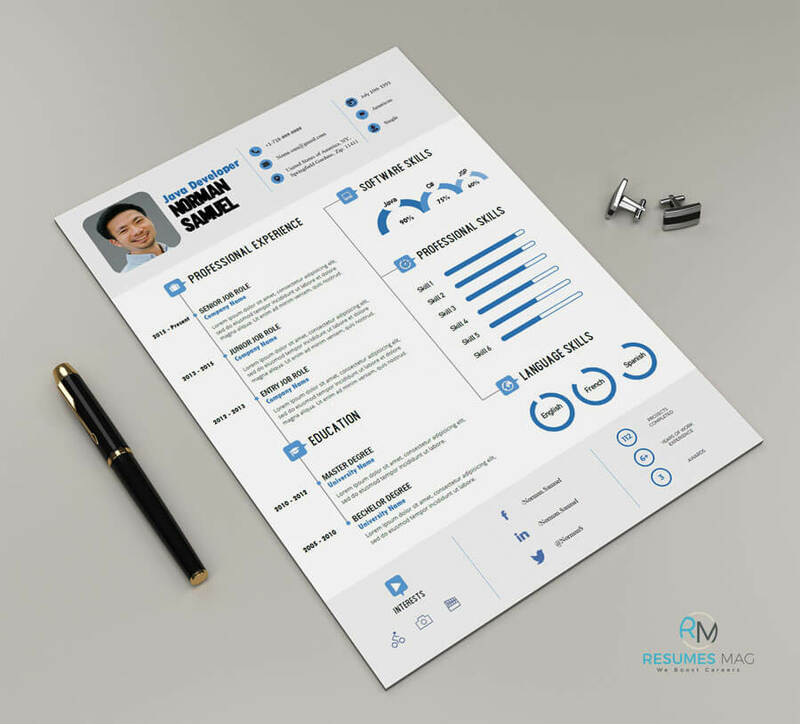 We have a policy here in ResumesMag; which is to create our own resume templates only in word format, aiming to make it recognized by the most common Applicant Tracking Systems available on the market. We do that while trying to make the resume attractive as it looks like. By this; you double your chances to get much more interviews, ATS won’t drop you, and infographic resume will do the rest to grab the employers eyes. If you are qualified enough for it, YOU ARE IN. It came in both A4 and US Letter paper size, with Cover Letter templates (Word Format) in both sizes that are included in the download package. Editable Resume Template and Cover Letter Template files in Docx (word format) for both (A4 and US Letter paper size), with an easy layout to edit it the way you like using MS Word. Readme file – contains the basic instructions to guide users for a proper use for “Best” Resume Template. Resume Preview in JPG Format. A collection of icons in Docx format file to be used for future edits. For a close-up preview, you can download resume preview separately prior to purchasing the item by pressing download a preview button. Once you bought this design, you’ll be redirected to “purchase confirmation page” which has the template download link, also a download link will be forwarded to your email. 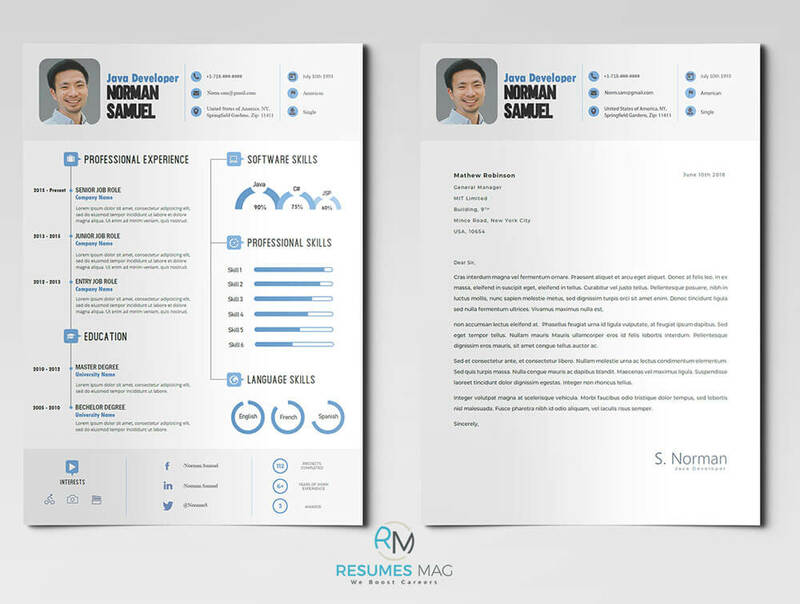 We used special Fonts, and it is all embedded in the Docx file (MS Word) of the resume template, so no need to download it. If you need further assistance or need to ask about any other points, don’t hesitate to contact us.